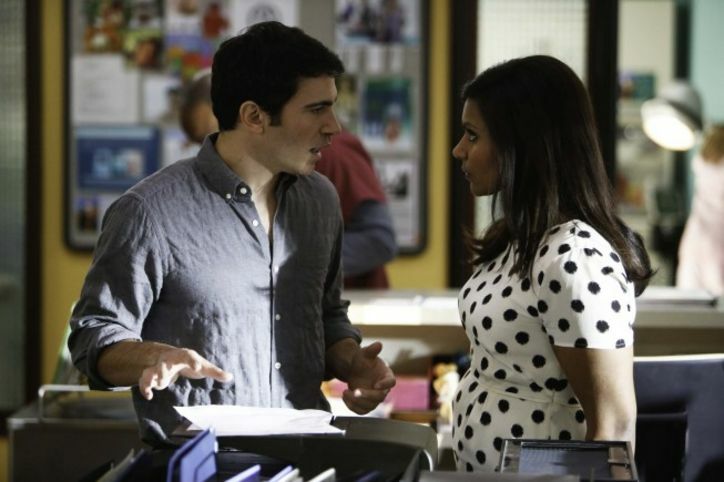 Let’s face it – social media has a huge effect on how we talk about relationships. 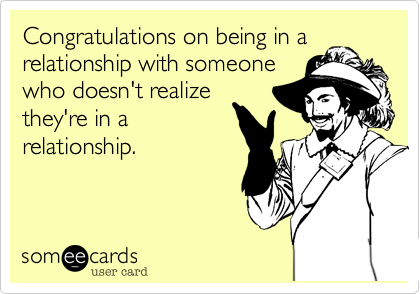 In today’s world, when a friend tells us about her latest love interest, we are quick to ask if and when they made things “Facebook official.” (Because obviously a relationship is not truly official until it has been declared so on Facebook!) However, when it comes to our real-life relationship statuses, there are shades of gray that cannot fit into the neat little single/in-a-relationship/married/divorced/domestic-partnership box that Facebook provides for us. Sometimes, life is a little messy, and while we may have a special someone on our minds, we may not be ready to classify it as a traditional relationship. (What is traditional, anyway?) This week, I present to you a list of honest relationship statuses that Facebook should enable to make the selection process a little easier when “it’s complicated” doesn’t even begin to cover it! I’m still not completely sure what it means to be “talking” to someone, other than having a spoken conversation, but among many teens and twenty-somethings, “talking” is all the rage. “He’s cute,” a friend might say in relation to a guy whose picture you showed her on your phone. “Are you guys together?” You smile and shrug. “We’ve been talking,” you reply, as if that answers everything. Readers, I can’t even begin to tell you how many times a friend told me that he or she was “talking” to someone. Obviously, talking isn’t serious enough to deem a full-fledged relationship, but at the same time, it implies at least some semblance of exclusivity and seriousness about the other person. 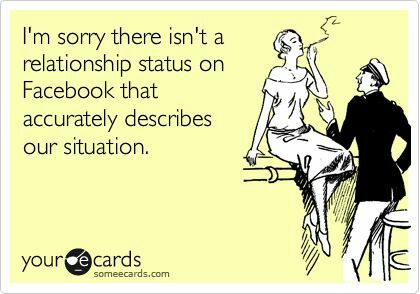 Therefore, it should require its own status on Facebook! 2. In a Platonic Relationship. You and X are not actually dating, per se, but to everyone else, it certainly seems that way. You’re his date to every social event, you talk about yourselves in first-person plural (“thank you so much for inviting us,” “we were so happy you could make it,” “we LOVE the tortellini alfredo here”), you share desserts and you finish each other’s sentences. No one will bother to date either of you because: a) everyone is threatened by the friendship and afraid that it would affect a potential relationship, and b) the two of you are shaping up to be the greatest “will-they-won’t-they” story of all time. Even if you aren’t interested in one another, which is likely the case (these things tend to be one-sided, anyway), you might as well acknowledge the platonic relationship online. 3. Hung Up On My Ex. If you fit this description, you’re probably listed as “single” on Facebook (or you’ve elected not to include a relationship status at all), but “single” doesn’t really describe how you feel. You picture single people enjoying nights out at bars, dancing on tables and leaving their phone numbers scribbled on napkins. You hear single people claiming that they hate to be tied down, that they’re just down for a good time. But that doesn’t accurately describe you. You feel alone, and every movie, news article and billboard you see reminds you of your recent breakup. You aren’t ready to wear your singlehood proudly just yet. You may be technically single, but you are Hung Up On Your Ex, and that is a different breed of single altogether. You aren’t hung up on your ex, but the relationship was so dysfunctional that you have no plans to enter another relationship for a long time. Anyone who mentions “Valentine’s Day” to you clearly has a death wish. 5. I Love My Pets. You want to find a meaningful relationship someday, but right now, you’re perfectly happy snuggling with your cat or dog instead. What are some honest relationship statuses you would want to see?